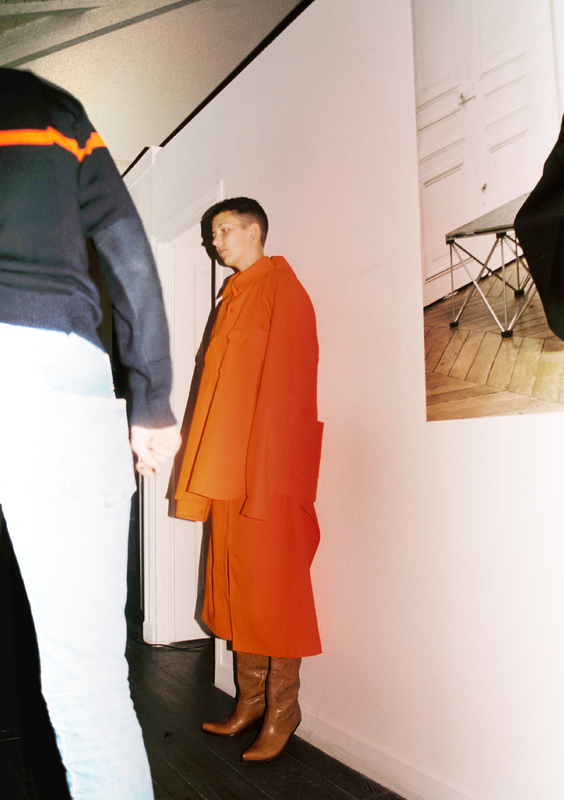 Vetements, a straightforward name, yet the collective designers behind the label are pushing the boundaries of fashion with their radical designs. 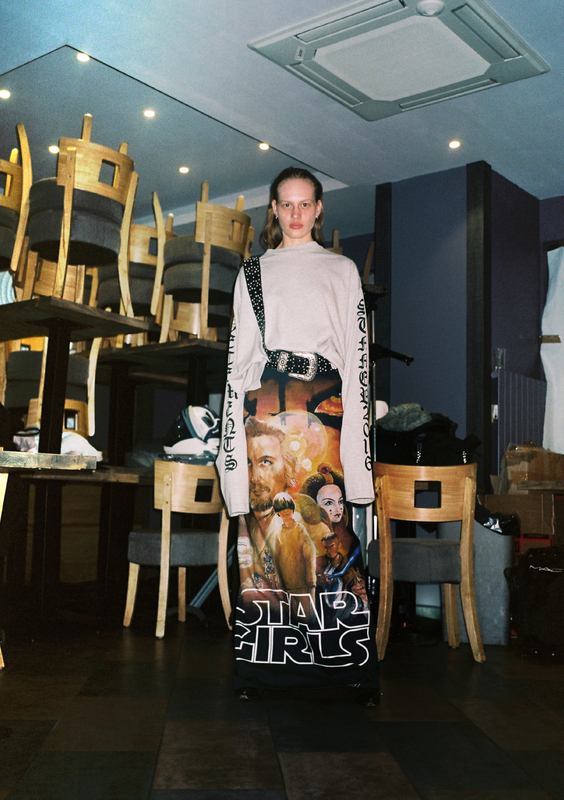 Some would argue that Vetements is the most exciting label since the 90s. Before his much anticiapted and hyped Balenciaga FW16 debut, JOYCE caught up with Demna Gvasalia, the head designer and spokesperson of Vetements, to talk about the authenticity of, well, making clothes. My experience at Louis Vuitton was a good “chemical reaction” for me, a catalyst really, to create the courage to start a new label. I don’t necessarily agree with every brand in terms of their creativity viz-a-viz their commercial desires . As designers, we need to create certain things based on the current commercial direction butalso satisfy certain demands; so creating a collection every month and making more clothes that nobody really needs I find very dangerous. I see our job as a delicate balancing act to find the harmony between this speed and allowing people to reflect. Vetements is a collective of observations, analysis and conversations amongst the team and me. Not all of us are from a design background; for example, one of us is a sociologist and he researches the dress codes for different age groups. The creative process is very much to do with our emotions. We don’t have a seasonal theme, we don’t do trends. We are very pragmatic. I think that’s what fashion is about nowadays. I can’t deny the influence of Martin Margiela. I think the aesthetics, our love for clothes and the way we like people to fall in love with clothes, is similar. We also look at other street wear labels like Carhartt as an anchor. Our goal is to create a wardrobe for people to wear, not to be exhibited in a museum. “Authenticity” is the vernacular in our design philosophy. For example when we design a trench coat, we would only opt for the most original fabric. Some brands like Prada go for new types of material to reinterpret classic items, but that’s not us. On the other hand, we might buy an existing T-shirt , then cut it up, play with the proportions -. Designing and discussing on a 3D level is very important to us. I really believe in making pragmatic clothes in this day and age. I think the marketing of high-end fashion over the past 20 years has to change. We need to find new tools to advertise a product; it can’t just be about creating the desirability of a product. The first couple of seasons we felt like doing something nonchalant and comfortable, but with a cool attitude, hence the oversize proportions. It could be a recurring element but it’s not the only silhouette which we will create. We have grown very fast in the past couple of years. Now it’s about filtering the distribution and press. Some labels are connecting with customers via their “universe”, for example, blending music, art, clothes etc. We however are strictly about making clothes. We don't have the time to do music or any other creative projects on a professional level.